Monroe County Community College / Nursing Program (ADN):"This Associate of Applied Science degree with specialization in Registered Nursing prepares graduates to function as beginning practitioners and members of the health care team in the care of acutely and chronically ill individuals with common illnesses. Registered nurses are qualified for employment in structured practice settings including acute care hospitals, extended care facilities, nursing homes, clinics, and physicians' offices. With experience, nurses may also participate in providing skilled care in more specialized areas including psychiatric units, emergency departments, pediatrics and obstetrics units, critical care units, and home health settings. Jobs in all areas of nursing are plentiful. Job pay is exceptional, starting at $40,000+ with full benefits. Nursing is a flexible and mobile career choice. A total of 72 credits is required to complete the program. Upon program completion and the Michigan State Board of Nursing eligibility determination, graduates will be prepared to take the licensure exam to become a registered nurse." Montana State University - Bozeman - College of Nursing (BSN, MSN, PhD):"The Montana State University College of Nursing has been educating students for careers in nursing since 1937. It is the oldest state-supported institution offering nursing education in Montana and the only institution offering master's degrees in nursing.The undergraduate Baccalaureate Program has had continuous approval by the State Board of Nursing since 1937 and has received continuous national accreditation since 1949. The accreditation process evaluates the College in relation to national standards of excellence in nursing education. The baccalaureate program includes two years of lower-division study that can be completed at any campus and two years of study at an upper-division campus site (Billings, Great Falls, Kalispell and Missoula). Faculty members are assigned to a campus where they live, work and supervise students in a variety of health care agencies. Graduates of the program are recommended for admission to the licensing examination for registered nurses. MSU graduates are highly successful on the NCLEX-RN (State Board) examinations, consistently achieving very high pass rates.The College also works closely with Licensed Practical Nurses (LPNs) who wish to become registered nurses (RNs) through baccalaureate education." Montana State University-Northern / Nursing Program (ASN, BSN):"The ASN qualifies the graduate to write the National Council Licensure Examination (NCLEX) to become a registered nurse. The program is fully approved by the Montana State Board of Nursing and the Northwest Association of Schools and Colleges and is accredited by the National League for Nursing Accrediting Commission (NLNAC). The program prepares men and women for entry level Registered Nurse positions in hospitals and other health care agencies. The BSN provides the opportunity for registered nurses to continue their education in the profession. The BSN program follows the Rules and Statutes of the Montana State Board of Nursing and is fully accredited by the NLNAC." Great Falls: (406) 771-4437 or (800) 446-2698, ext. 4437 or Fax: (406) 771-4426. Havre: (406) 265-4196 or (800) 662-6132, ext. 4196 or Fax: (406) 265-3772. Lewistown: (406) 538-2073 or Fax: (406) 538-2082. Montgomery College / Takoma Park Campus / Nursing Department (ASN):"The Montgomery College Nursing Program can start you on the path to a rewarding career as a registered nurse. Graduates of our two-year Associate Degree Program are qualified to take the examination to become licensed registered nurses, prepared to give competent nursing care to patients in hospitals, nursing homes, and other health care settings." Montgomery County Community College / Nursing Program (LPN to RN, ADN):"The Nursing Program leads to an Associate in Applied Science degree in Nursing and offers full-time and part-time study. After completion of the Sequence 1 prerequisite courses, students can complete the Nursing Program in 4 semesters. The program is designed to prepare caring professional nurses who employ critical thinking skills and the nursing process in meeting the human needs of clients in a variety of health care settings. Students develop competence in the art and science of nursing within an integrated curriculum which incorporates seminar, classroom, Nursing Campus Laboratory, and clinical experiences. Graduates are prepared to take the National Council Licensing Examination for Registered Nursing (NCLEX-RN), seek licensure in any state in our nation, and transfer credits to degree programs beyond the A.A.S. degree in Nursing." Moore Norman Technology Center / Nursing Program (LPN):"After students complete this program and pass their PN licensure exam, they may enter the workforce as an LPN and may continue their training and education for a degree in nursing or related field.LPNs care for ill, injured, convalescent and disabled persons in hospitals, clinics, doctor's offices, private homes, nursing homes, and other medical care facilities. 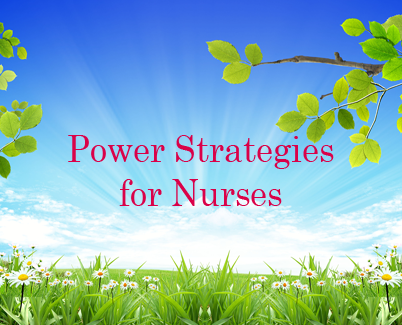 Duties vary depending on each state's nurse practice regulations, however, LPNs may take part in these tasks, and additional procedures." Moraine Park Technical College / Nursing Program (ADN, LPN):"The Nursing - Associate Degree With a Practical Nursing Exit Point program prepares graduates for careers as nurses (LPN and/or RN) in ambulatory care settings, acute care settings and long-term care organizations, as defined by the Wisconsin Nurse Practice Act. After successfully completing the first two semesters of the program, students are eligible to write the Practical Nursing National Council Licensure Examination. At this point, students could job out and seek employment as LPNs or continue on in the remaining two semesters and prepare to write the National Council Licensure Examination for Registered Nurses. Admissions windows are in spring and fall." Moraine Valley Community College / Department of Nursing (ASN):"This two-year program starts in either the fall or spring of each year and continues for a total of four consecutive semesters excluding summer. The Nursing Program conducts a rigorous curriculum of lectures, labs and clinicals. Clinicals are conducted on site at a variety of hospitals during the daytime or evening with no flexibility in scheduling. Therefore, holding a full-time job while in the program may affect your success and is not recommended." Moravian College / Nursing Program (BSN):"Founded in 1872, St. Luke's Hospital and Health Network in Bethlehem is a vital part of Pennsylvania's Lehigh Valley. An integral, regional health care network, St. Luke's offers a full range of medical and surgical services, maternal-child care, and psychiatric services. St. Luke's Hospital and Health Network was recently ranked by Solucient for the second time - for its excellence in quality of care, efficiency of operations and sustainability of overall performance." Morehead State University / Department of Nursing (ADN, BSN):"The Associate Degree Nursing Program (ADNP) is a two-year program leading to an Associate of Applied Sciences (AAS) Degree and preparing students for the role of the technical nurse. The program has an LPN to ADN component. Licensed practical nurses (LPN) who have graduated from a state approved school of practical nursing may be eligible for advanced placement in the ADNP. Qualified LPNs have the option to complete the ADNP in two semesters. The Baccalaureate Nursing Program (BSN) Pre-licensure is a fully accredited four-year nursing program. This program prepares nurses for professional nursing practice, provides a foundation for graduate study, and promotes a holistic approach to health care in today's dynamic health care environment. The program also has a Registered Nurse (RN) track where graduates of associate degree and diploma nursing programs may pursue the BSN degree."